If you have a Non Immigrant B visa valid for, say, another month or two, and you decided to quit your job but you would like to make use of the remaining days/weeks/months indicated on it, would you still be allowed to stay? But what if your school or company takes your work permit back, what happens to the visa then? Is it still valid or will it become void after the school or company takes back your work permit? According to some readings I made online, if you have a valid visa which you obtained from a Thai Embassy/Consulate, you may continue to use it until it expires. However, if you have an “extension of stay” (which is not a visa) obtained from an immigration office, it ceases to be valid on the day you stop work. An extension of stay obtained at an immigration office is not a visa. It ends on the date an employee stop working since that is the reason for it being issued. 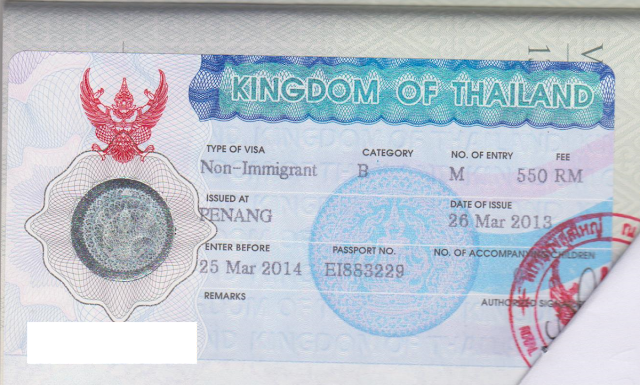 PS: Holder of this type of visa is entitled to stay in Thailand for a maximum period of 90 days. He or she may apply for an extension of stay at the Office of the Immigration Bureau and may be granted such extension for a period of one year from the date of first entry into Thailand. Hope this post will shed light to those in a similar situation.